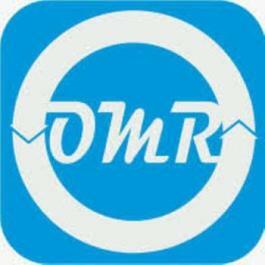 INDORE, INDIA, October 16, 2018 /EINPresswire.com/ — According to OMR analysis the global database encryption market is anticipated to grow with a CAGR of 30.0% during 2018-2023. 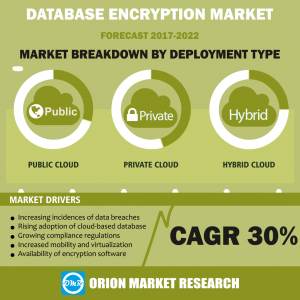 The database encryption market is segmented on the basis types, deployment models and verticals. The report provides detailed & insightful chapters which include market overview, key findings, strategic recommendations, market determinants, key company analysis, market insights, company profiling, market segmentation, geographical analysis, analyst insights and predictive analysis of the market. According to Identity Theft Resource Center and CyberScout, in 2016, 40% increase in the data breaches as compared to 2015 has been witnessed. It is estimated that the total number of data breaches in 2016 was estimated to be around 1093, up from 780 incidents in 2015. About 52% of the incidences of data breaches exposed social security numbers, more than 45% of data breaches are associated with business sector, 34% of the data breaches are in healthcare sectors and military and government sectors accounts for 6.6% overall data breaches. These are the major facts that are representing the increasing data breaches. Therefore, it is estimated to augment the growth of the market. Furthermore, increasing mobility and virtualization are increasing the amount of data traffic and data across the globe, which gives rise to the database encryption technology to protect data from third party access. Therefore, it is also estimated to augment the growth of the market. On the basis of geography database encryption market is segmented into four regions- North America, Europe, Asia-Pacific and Rest of the World (RoW). With well established information technology industry in the North America region particularly in the US, North America is the major contributor in the database encryption market. Europe is the second highest market in the terms of value share followed by Asia-Pacific which is fastest developing region in the world due to continuous expansion of major companies in the developing countries of the region such as China, India and ASEAN nations. • Comprehensive research methodology of Global Database Encryption Market. • Analysis of regional regulations and other government policies impacting the Global Database Encryption Market. • Insights about market determinants which are stimulating the Global Database Encryption Market.